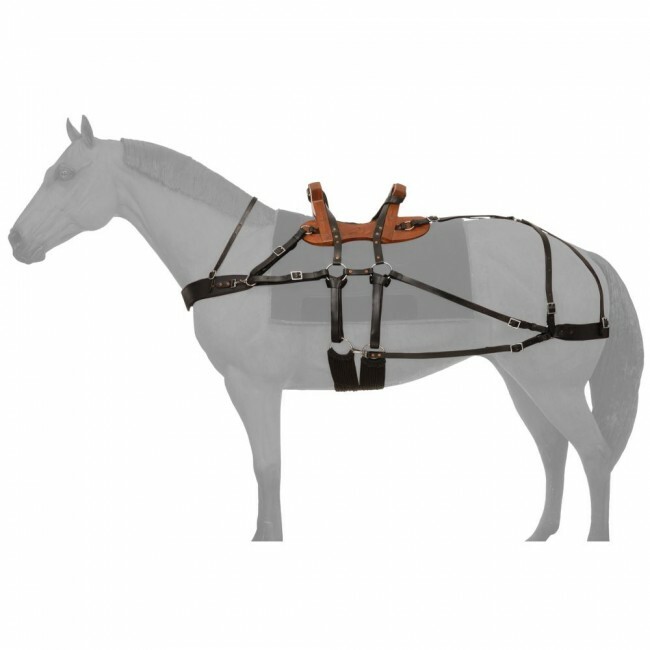 Fully adjustable breeching and breastcollar. Double rigged with double string cinch. Stained wooden tree. Fits most mules and horses.